For the first time, an epic account of a boy born into a struggle for survival on the harsh and unforgiving American frontier, the story behind the legend of Smoke Jensen. . .
On the eve of the Civil War, Kirby Jensen is the youngest of three children living on a hardscrabble ranch in Southwestern Missouri. But in 1861, shots were fired in Charleston harbor, and Kirby's father and brother went to war. 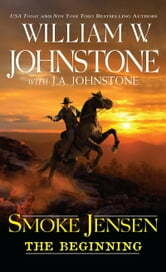 Smoke Jensen The Beginning follows the Jensen clan during these volatile years, from Civil War battles to border state raids to the kind of frontier justice achieved only by bullets and blood. William W. Johnstone chronicles the early years of Kirby Jensen--soon to be nicknamed Smoke-- as he journeys from boyhood innocence into a manhood shaped by violence and a young man's thirst for justice. 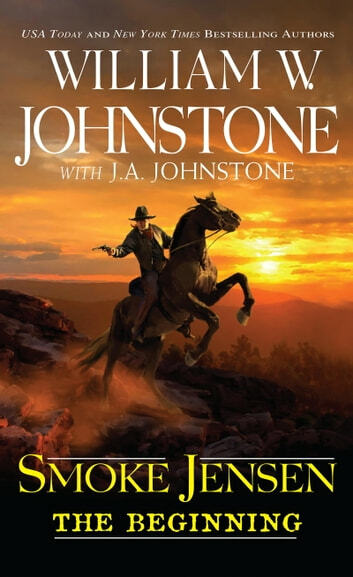 Filled with actual historical events and legendary characters, the story of Smoke Jensen's early years is a powerful, brutal and amazing American saga--the crowning achievement of America's most popular living Western writer. Also available in audio at www.GraphicAudio.net.